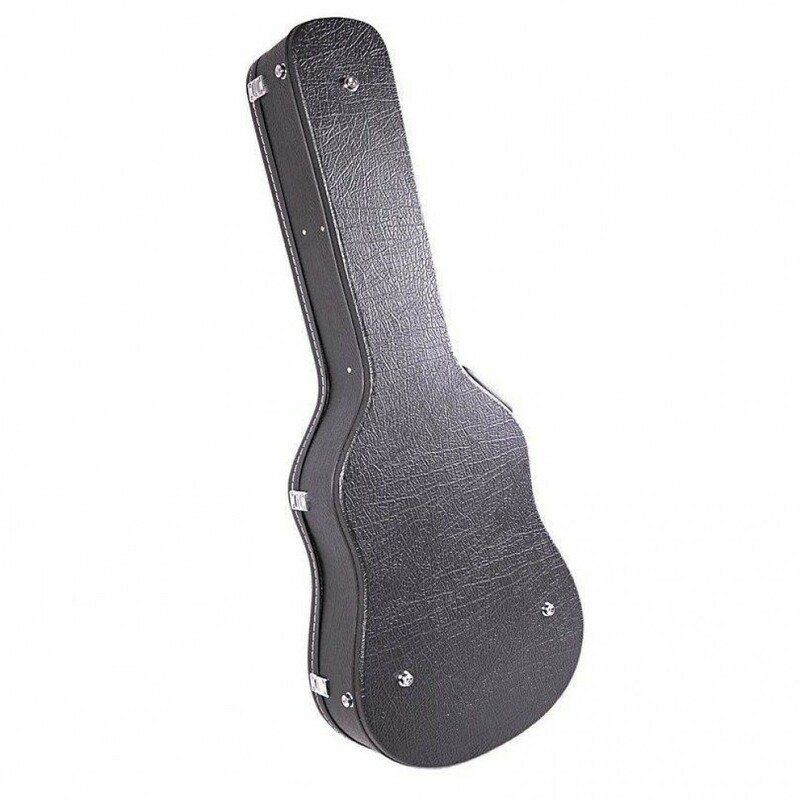 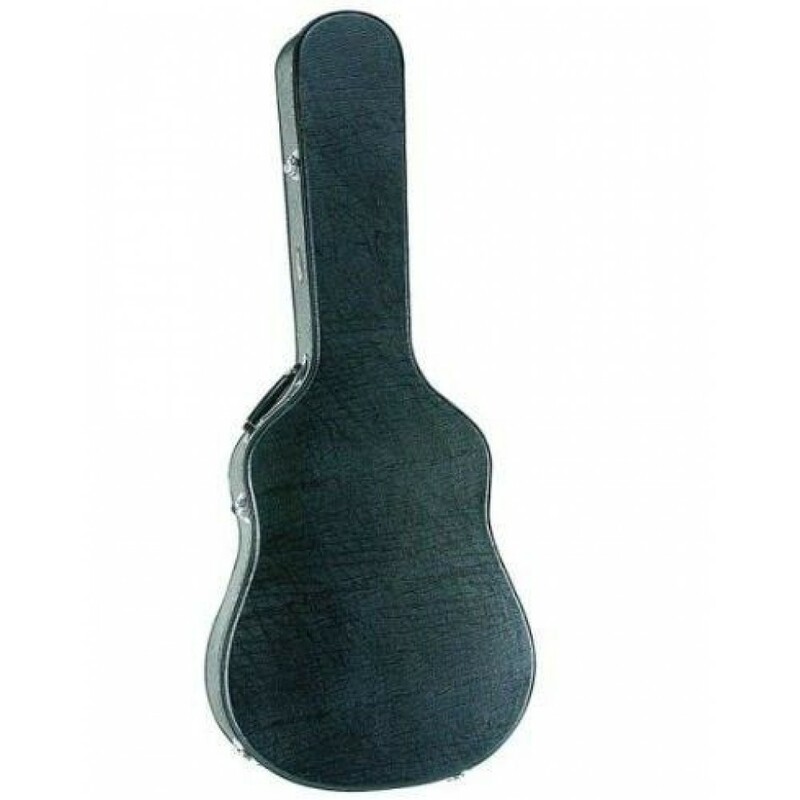 KONA 12WC100 DREADNOUGHT ACOUSTIC GUITAR HARDSHELL CASE This black, Tolex covered Dreadnought guitar case is just what you need to protect your 12 or 6 string acoustic guitar from the rigors of the road. 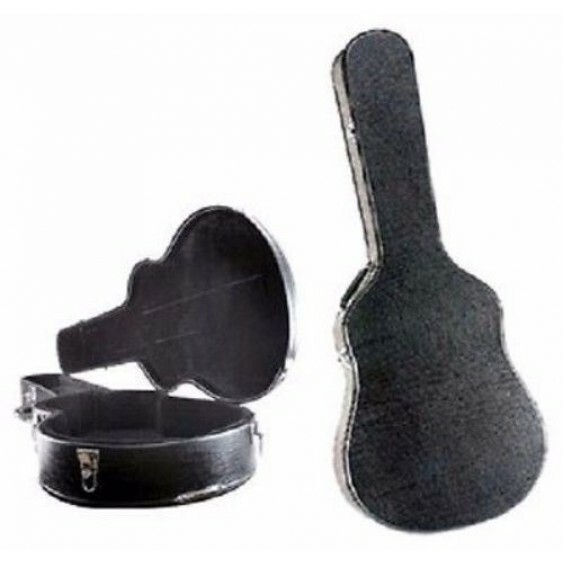 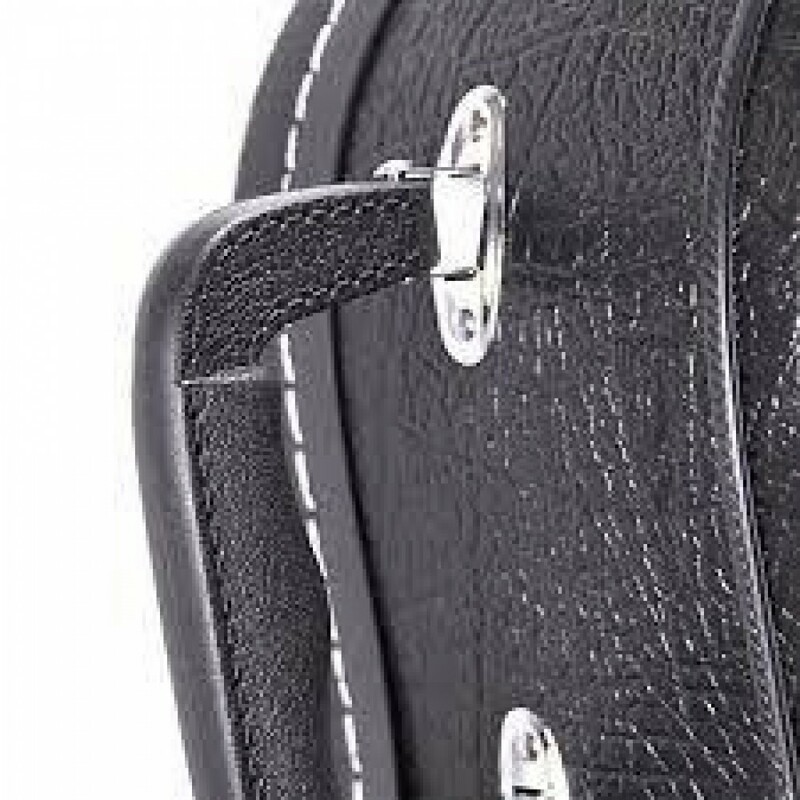 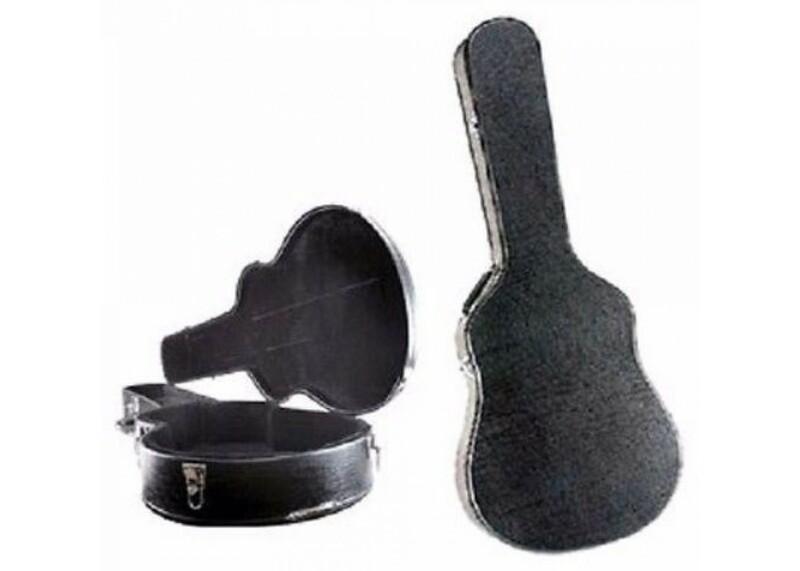 The hardshell case is constructed with a tough 5-ply cross laminated wood core with plush lining over soft foam padding interior to act as a shock absorber, screwed in neck brace, heavy duty gold plated hinges and locking latches with an inner compartment to hold extra strings, straps, picks, slides, etc. Width @ upper bout: 12.5"
Width @ lower bout: 16"
BUY A GUITAR FROM US AT THE SAME TIME AND THE GUITAR SHIPS FREE IN THE CASE !